The material can be used individually or as the basis for group meetings, and encourages people to explore and apply the LOAF principles throughout the season. L-Local, O-Organic, A- Animal Friendly, F- Fairly Traded PLUS for the last week – “Leftovers – and other green issues”. He invites other churches to take part if interested. Given that Emmanuel will be using the first draft or prototype material he is more than happy to receive suggested revisions and additions in the hope that LOAF for Lent, once refined, might become something useful to others in future years. 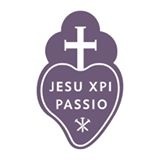 I’ve now completed version 1 for use in Lent 2019. Please email me at revlev66@gmail.com for a copy, or it might just appear as a download on this website somewhere!